Connect other structure to this one. 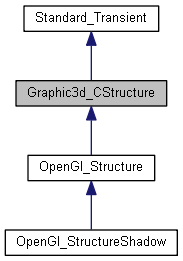 Implemented in OpenGl_Structure, and OpenGl_StructureShadow. Disconnect other structure to this one. Highlights structure with the given style. Unhighlights the structure and invalidates pointer to structure's highlight style. Returns valid handle to highlight style of the structure in case if highlight flag is set to true. Checks if the structure should be included into BVH tree or not. Returns FALSE if the structure hits the current view volume, otherwise returns TRUE. Return structure visibility considering both View Affinity and global visibility state. Marks structure as overlapping the current view volume one. The method is called during traverse of BVH tree. Create new group within this structure. Remove group from this structure. Pass clip planes to the associated graphic driver structure. Marks structure as culled/not culled - note that IsAlwaysRendered() is ignored here! Set z layer ID to display the structure in specified layer. Create shadow link to this structure. Current highlight style; is set only if highlight flag is true.